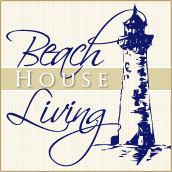 Beach House Living: Enter to win a Give Back. You act, I give. Celebrating World Oceans Day. Enter to win a Give Back. You act, I give. Celebrating World Oceans Day. Wearing blue today in celebrating World Oceans Day had me thinking we can all do more to preserve and respect our oceans. You can "Seas the Day" and take ocean conservation personally. Please take a moment to read and reflect before scrolling down to the "Give Back". 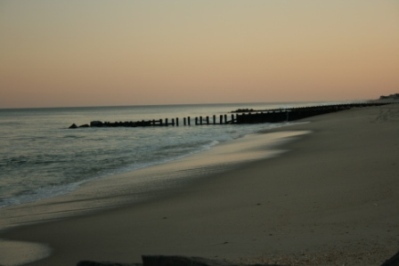 Our beaches are simply the "edges" of the ocean. Lack of Proper Regulations and Control Standards. Not caring what's landed in the net. hands to the sea. Their 2010 marine debris report is astonishing. helps fuel the need to drill for oil. consumes it and dies, or becomes entangled in it. Did you know marine trash impedes oil spill clean up? This is one of the few to receive help; thousands do not. Now for the (my) "Give Back"
but, lack the required certifications. from our online store Beach & Bauble. to help the winner get started. last week and have a new website under construction sorry for the inconvenience. Recycling Code#3. Send them back to be turned into new pairs. antimicrobial, and oh so comfortable. I have two pairs. essential oils, fair trade ingredients, wind powered facilities. 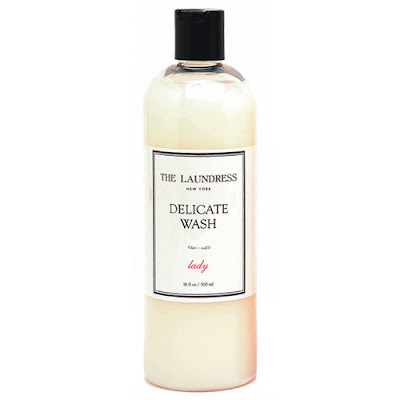 The Laundress Delicate wash - Love this stuff! essential oils, not artificial fragrances. Allergen, phthalate, paraben free. Laundress recycles all their shipping and packaging components. Sea Bags recycled boat sail tote. 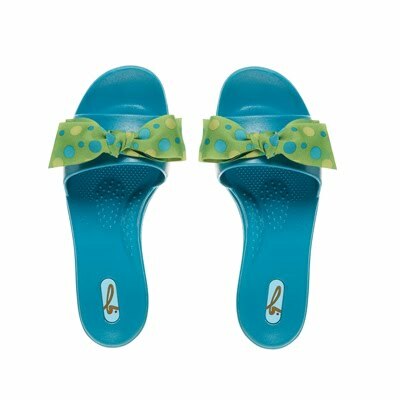 Great for the market or the beach. a personalized one with your first name, blog or business name. The best part is most of the standard rules of entry don't apply. I will leave that up to you to decide. I would love help spreading the word. To enter, you have to do something. No anonymous comments. You must have a blog. to participating in "coastal clean ups"
Random Act of kindness/Pay it forward. This is doing something knowing the favor will not be returned. amount of groceries you have in your cart go ahead you of does. for the disabled, things like this count. Volunteering to coach a sports team does not. We will figure out an alternative item for you. June 9th, 2010 Marie from Marie's Maison offered information regarding volunteer opportunities at Volunteer Louisiana to deliver food to families affected by the oil spill and other needs. Thank you for this - so very inspiring and what a wake up call! Even though it's hard to see some of these pictures, it's so important! Thank you for this reminder... even when we consciously do our best to lower our environmental impact, we can always do more. My personal environmental action is supporting Taking Root, a sustainable reforestation organization that empowers local communities while rebuilding the deforested rainforest. 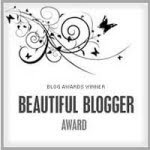 First, I must say that this is a truly wonderful thing you are doing and I'm privaleged to know you through the Blog world. Second, what things do we do to help the environment? We gave up using paper towels and paper napkins two years ago. We use reusable grocery totes for shopping. We do not buy bottled water anymore...tap water it is. We use both sides of our printer's paper and the back sheets of our address labels. We also recycle our toner cartridges & get refilled ones instead of new. We regularly pick up garbage while on the beach and dispose of it properly or re-use in craft project (depending on what it is). We do all errands in one day, using a planned route so that we don't waste gasoline driving around everyday. We are upgrading all of our old appliances to Energy Star and installed a digital thermostat as well as use CFL bulbs in all lamps. I'm sure there is more, just can't think of it. I'll post your giveaway on Facebook, Twitter etc to get the word out. Hi! Love this post, great job. Here's what I do: extra bag goes with me on all beach walks to simply pick up the garbage. We try to reuse ALL bubble wrap and packing peanuts, and boxes for orders and merchandise received at the Caron's website. I reuse the few plastic bottles I have over and over, then put them in my recycle bin (I keep filling them up with filtered water). I use my own bags when I go grocery shopping. I also recycle paper, and never leave trash anywhere, and I use biodegradable cleaner..., things in the future. A hybrid car, or at least one that uses much less gas, and shorten the commute for my husband. I guess that's it for now. Great post!! It's a shame that we allow all this to happen! 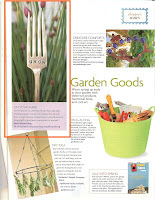 This is a wonderful cause and what a lovely giveaway! I use only environmentally friendly cleansers and also recycle faithfully. I love our oceans, and it's just heartbreaking what's going on with the BP oil spill. I have been replacing my cleaners in the house with greener cleaners and really pay attention to things that I can recycle. I teach my kids how to recycle and look at different bottles, boxes, etc and know what they can put in what recycle bin. It is not alot, but I hope that little by little we become more aware of what we are putting in our environment and how it effects it. I recycle all that I can and pick up trash whenever I see it while i'm out and about! I also try to re-use all that I can before I throw it away! Wow this is a wonderful post! 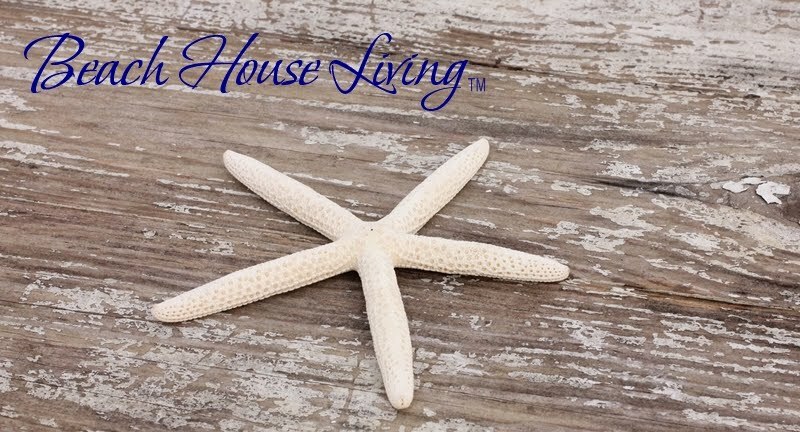 I am not commenting to win...I am not a blogger that goes around to all the givaways...I'm here because I am interested in the World Oceans Day that I just read about at Completely Coastal. I'd never heard of it. So thank you for honoring it too! I have spent my life trying to live as a natural as possible(called green, nowadays)...I use canvas bags(no paper or plastic please), or baskets or recycled made bags, I raised my four children using cloth diapers, cotton, organics, no chemicals, homemade baby foods, homemade meals, organic gardening, very little makeup(made organically), no hair dyes(no salons), I cut my kids hair, hubby cuts mine(now my kids are teens they dye their hair, but not by me), ride bikes/walk rather than drive, and recently we've been more focused on NOT spending...simplifying...live with what we need, rather than wants. In my 20's and 30's we lived with very little...didn't even have 'real' furniture...we are trying to return to that. We donate, recycle, givaway...etc There is so much more we can do. Great post! I recycle all of my plastic - it's the least I can do. Rita~ this is such a great post~ something we all need to be more aware of! We recycle everything we can, bring yard waste to be composted, use mulch to save water. I recycle as many used items as I can in trash to treasure projects and shop thrift and garage sales rather than buying new whenever I can. This post makes me want to think even more about what I am using daily! Thanks! - Recycle everything that can be recycled. 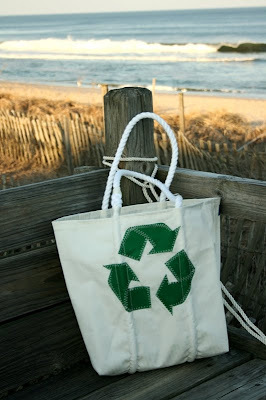 - Use "Eco-Bags" for shopping. - I used Fuzzy Bunz cloth diapers with my first child for his first year in diapers. - We try to keep local for summer farmstand produce & support local farms. - No more styro (Dunkin D's) coffee cups.. I only order the small which is paper or else i do a plastic iced latte & recycle that. - I do gift wrap in brown kraft wrap & encourage it to go straight to the recycling bin after X-mas. - I use all natural cleaning products. these pictures are heartbreaking but a great visual to help us from recreating these horrible consequences. I am a big bottle water drinker- i am trying very hard to break this habit. I don't leave the water on (anymore) while I brush my teeth. Daily I am trying to break my bad habits that are creating havoc on our beautiful planet. I love this post and I think what you are doing is fantastic. In my home we make it a competition to watch our electricity / gas / water charts go down each time the bill comes. It’s a great challenge for the children to get involved with. We also have a rule that if someone leaves a room and doesn’t turn the light off, they have to pay $1 into 'the jar'. This also gets used when (while I am rushing), I accidently put something recyclable into the bin. (those kids are onto me!) Then we donate the money to a charity of the children's choice. We also participate in Clean up Australia Day every year. Our local council has also introduced the option of taking a larger recycling bin for a $30 once off fee and a Green Waste Recycling bin for garden waste to be recycled. HOW GOOD IS THAT! We have taken both of those options for our house in the city. At the house I am in the planning stages of building in the country www.buildingthelakehouse.blogspot.com we are putting solar electricity, tank water, gas cooking and a recycled sewerage treatment system in. I am so proud of what we have been inspiring our children to become – green thinkers. Its not the most we could do, but its something! I am so thrilled that Maya over at Completely Coastal pointed me in your direction. I just yesterday posted an homage to my memories of Destin's white sands on my personal blog. My heart is breaking for our beautiful Gulf Coast and the habitat that is suffering. Whenever we're down at Destin, my husband and I make our power walks a trash gathering expedition as well. We've also been using reusable totes for all of our shopping for a couple of years now. Always searching, searching for ways to help, improve, grow. Thank you for the inspiration to continue the quest. Thanks for visiting my World Ocean Day post! Those oil slick damage photos make me fell mad and sick. Some things I do to help out are all my paper goes to the lady up the road who makes her own recycled paper, I always use tote bags for my groceries and where possible I buy organic food. Even little things like empty loo paper rolls and cleaned milk cartons go to the local day care/primary schools for the students art classes, or when out walking I pick up rubbish. Just little things that can make a small difference, but if everybody did it it would make a huge difference. Thank you for your post - it has been great reading through the comments and seeing what else I can do! Fantastic post...even if it brought morning tears. I have 20 Whole Foods shopping bags that I use for my shopping. I'm working on reducing my energy use. DH carries a trash bag on his walks and picks up trash. We are trying to make it a lifestyle. I have worked really hard to make my business as green as possible. I am a photographer, alphabet photography that is and am excited at my success. I made very clear choices when I began three years ago. I have my frames handmade by an Amish woodworker, so everything is local and sustainable. He picks up the glass for the frames in his buggy! I use recycled cardboard as backing for the frames and there is a keyhole on the back for hanging, rather than a hook. Additionally, I use biodegradable bubble wrap for any shipments that I do. My latest and perhaps most exciting part of running a green company is that in just a few weeks, one tree will be planted for every purchase made through The Nature Conservancy's, Plant a Billion Trees initiative. I would love the support of other environmentally minded folks! www.NatureScripts.com. I do lots of personal green living, but think that my business initiatives are a bit more exciting. Thanks to all of you for what you do to keep this planet green! I am part of the "green team" at my office. We are a small group of environmental advocates that have eliminated styrafoam cups and coordinate a weekly recycling pick up. Future efforts are aimed at adding electronics to the recycling program. The Give Back is a brilliant idea Rita!!! I love your commitment to our oceans and environment and you have found a wonderful way of making your point and getting us to reflect and do more to make a difference! I obviously could do more and many of your commenters have given me some great ideas on how to reduce my carbon footprint! We use cloth bags for our groceries, stopped buying plastic water bottles, shop at Farmers Markets, recycle our trash, use natural cleaners and body products, shop at consignment, garage, thrift stores etc. and buy less. Most of all... I do random acts of kindness as often as possible as that makes me the happiest and feels like the best way to give back and make a difference in the universe. We have much to be grateful for and the best way to honor our blessings is to give back... so I thank you Rita for making a difference in blogland with your unique and creative Giveaway with a twist!!! Thanks for this inspiring post! My heart aches everytime I see the birds covered with oil from the latest disaster in the south. I'd luv to be counted in and I do my daily effort to recycle cans, papers, water. I have three 50 gallon barrels in my backyard to save rain water; living a few blocks from the ocean, hubby and I participate in coastal clean ups. You are awesome for reminding us about this very important message! wow.. open to residents of France, and not Italy?!? Well, we live near the beach outside of Rome, Anzio. Here, it can get quite warm, and one of the enviromental things I am doing is talking my husband into installing sun-shades (or sun curtains, haven't quite decided) instead of installing an Air conditioner! Next, we are building an external shower so that when we come back from the beach we can leave the sand OUTSIDE of the house and the plumbing. We will be making our OWN solar water heating panel to put on the roof of the shower. So easy to find instructions on the internet! Lastly, when we moved to our home, instead of tearing down tile walls in the kitchen because we didn't like the accent tile... I found a hip and less wasteful solution: I glued shells to the wall to hide them! we used reusable grocery bags..and lots of them! no more bottled water. no paper towels or napkins (people think we're crazy, when in fact they're the crazy ones). our printing mistakes become scrap paper for notes and other printing jobs. we turn the ac up in the summer and the heater down in the winter. recycle everything possible: print cartridges back to the store, glass jars get used around the house. I still cut the plastic that holds my six packs of soft drinks, because years ago they said animals in the ocean get their heads caught in them ... i still dont' know if that's real truth or urban legend, but I still do it! I am tryin to do my part, but, obviously, it is not enough. At times I feel so helpless. I see what you mean by not a 'happy post' but an awareness post. It's good to have reminders like this. I do all I can to promote as well as preserve our environment. *do NOT buy bottled water, therefore no plastic bottles to deal with. *I grow timber, any harvested is replanted. I do not "clearcut" but use best forestry methods of management for timber production, food and cover for wild game. *anything taken to the beach or lake, garbage and trash are taken home and disposed of properly. any found trash is also picked up and removed! *I take/and use my own shopping bags..not plastic. *use as many environmentally friendly products as possible for my cleaning. *and yes, we do random acts of unexpected kindness as often as possible. will be posting later today photos from my trip home to the gulf coast beaches of Florida. Loved your post Rita! We treat others the way we want to be treated, all things included. Teaching my children to respect our precious land and ocean. (God ain't makin' any more). wow, such an important post and important message. don't worry about entering me in the giveaway and i just wanted to say thank you for sharing this. makes my heart heavy but it's nice to know *some* people are wanting to do more. thank you! I use cloth bags, I recycle, I compost, I reuse everything that I can ie: yogurt containers, waterbottles, ziplock bags, toilet paper rolls. I run workshops which promote eco art for children as art is my passion and saving the world is our way of life. Anyway- I am thrilled to meet you (virtually) and I look forward to returning- as well as catching up. Heartbreaking. That's all I can say. Those pictures, the oil spill, the abuse of our environment.....just heartbreaking. I use fabric bags for grocery shopping. We've switched over all of our lightbulbs to the energy saving ones. We can and freeze as many things out of our own garden as possible. We recycle old furniture and clothes and donate to GoodWill or Salvation Army. We make sure the wildlife that live on our property are as safe as possible - and well fed! Thanks for this important post today. I don't call myself an environmentalist, but I do believe that conservation and taking care of our surroundings are important. In our home, we recycle cans and bottles, use canvas bags for shopping, reuse plastic bags to pick up after the dog, and conserve water when we can. Little things, I know, but still important. Hi Rita, What a thoughtful yet tragic post and I'm so glad that you had the kindness and thoughtfulness to post it. The images are, indeed, very difficult to view but necessary if we are to do something about this horrific damage. We have been conservationists for years and take every opportunity to recycle, and, locally we contribute to "Save the Bay," and always come back home with garbage in our hand from our nightly walks down to the beach. I will add this post to my sidebar as a small way to continue the momentum of this honest post! I pay it forward by helping the elderly at each opportunity that presents itself. This can be anything from anonymously mowing an elderly neighbor's yard while he is napping, unloading groceries into the trunk for an elderly lady, transferring everything from a cart to a conveyor belt at the grocery, or just sitting with an elderly neighbor and listening to them reminisce. Giving back to our elders is one of the most important things we can do as a society. Looking at the pictures made me cry... seriously, so sad. We have several rescue animals...and believe so deeply in taking care of animals. Also the pay it forward concept. One of the other things we do is composting. Small stuff... i know, but it helps. Thanks for reminding us on what really goes on! Thank you and thank you to Maya for pointing me in your direction! What a fabulous post, so near and dear to my heart. I grew up in California on the Pacific, I just moved to Coastal Georgia on the Atlantic after spending the last ten years in Florida on the Gulf of Mexico. Saltwater runs through my veins and protecting our oceans is a priority with me. No plastic water bottles, mine are reusable eco-friendly. No paper napkins, paper plates or paper towels are found in my home. Every single lightbulb is energy-efficient. Too many beach and lake cleanups to count. Energy Star stove and fridge. Leave only footprints in nature, shoot only photos. Buy from sustainable fisheries and only what is on the list at the Monterey Bay Aquarium website. Pick up trash left by others. Write my elected officials on important environmental issues. Bought my last car in 2006, based on gas mileage (34 mpg). Have driven just under 20,000 miles in the last four years! Buying a bicycle in the Fall (a pink one). My recycling bin is always fuller than my trash bin. Annoy friends and family by telling them how to save our planet, lol. The list goes on and on, but I also participated in the World Oceans Day 2nd Annual Oceanic Blog-A-Thon. Last year I wrote about our Mangrove trees in Florida and their impact on our ecosystem and this year I wrote about oysters and how Georgia is restoring the oyster reefs along our coast. Hope you'll join us next year! 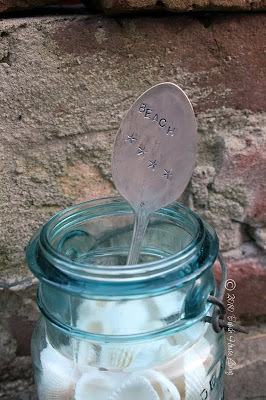 Oh, and one last thing, I surfed in here from Maya's and found another beachy blog to add to follow! great post Rita. My heart just breaks over this mess as much as I love the ocean. My business is all about recycling which I have done since I started housekeeping....41 years ago. The Vintage Nest also gives a portion of profits to the local animal shelter. I use hand made cloth totes for shopping and I recycle all my business packaging goods. The other day I paid the toll on the little bridge for the guy behind me. That's always fun! Have a super great day. I loved reading this post. Our family has been recycling for years. It just made sense. I recently found out about Monsanto's monopoly on soybeans and how they treat the farmers that don't grow Monsanto's seeds. I'm now signing petitions and calling on politicians. The ocean has always held a special place for our family. My husband is a surfer, and we grew up by the beach. Love your blog, My kids since day one have been taught to walk up and down the beach and pick up all the trash we can find, then we play. We have always been recyclers of anything reusable and the beach is our second home all year. Just buy and reselling antiques is one great way to RECYCLE! Also I buy old items and repurpose them so they don't end up in the junkyard. Of course, taking my wicker or metal shopping cart to the market along with a canvas tote saves the landfills from those awful plastic bags! Love your blog and etsy shop. Please enter us in your wonderful GIVEAWAY! I love this post! I have radically changed my little family's practices in the past six months; from giving up disposable products (napkins, paper owels, sponges, etc) in favor of reusable cloth alternatives, to switching all of our personal care and cleaning products for all-natural, biodegradable, cruelty-free products, and even becoming vegetarian (and on our way to vegan, this includes our dogs, too!) and so much more. In fact, I'm currently compiling a list of our changes to be shared on my blog in a few weeks. A lot of people are surprised to learn that becoming vegetarian is one of the best things you could ever do for the environment. Of course, I'm not saying those who aren't vegetarian are wrong, or anything like that (you'd be surprised at how many people get their feathers ruffled even when I try to share information in a respectful, non-judgmental way...and usually the person I'm talking to isn't even them). I try to encourage my friends on Facebook to think about their actions and recommend earth-friendly alternatives to those who will listen. :) Anyhoo, I wish more people would use their voice in a positive way like this! Such a powerful post! thank you so much! there is so much we all can do... needed the push to remind myself and others. What a beautiful heart you have. Thank you for raising awareness of and interest in HELPING the planet and all living things on it. YOu are so generous. With the mess in the Gulf of Mexico, my heart breaks every time I think about it. I am a reusable bag junkie from way back-- before it was "fashionable". I haven't had a plastic shopping bag in my home for years-- not even for produce (I take my own mesh bags for that too) and I'm a big supporter of organic produce growers. Thank you for your generous giveaway. 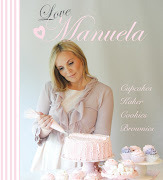 Please stop by my blog and enter my giveaway too! Eden climbing rose in pink. Worth the wait.